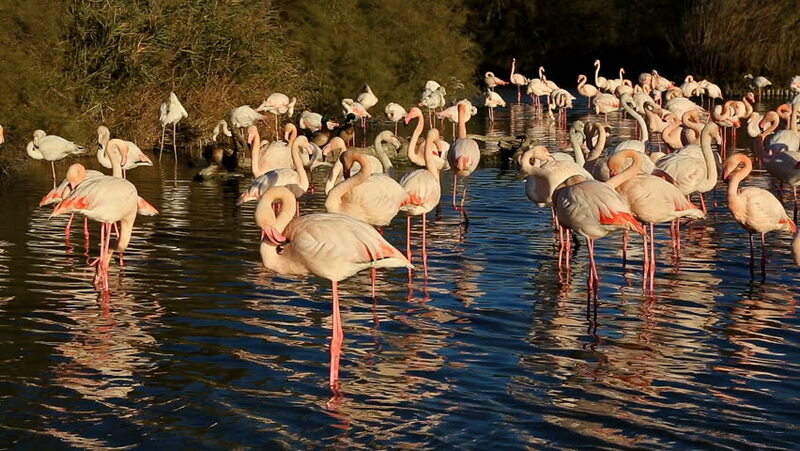 hd00:13Greater Flamingos (Phoenicopterus roseus), Pont de Gau, Camargue, France. hd00:06Greater Flamingos (Phoenicopterus roseus), Pont de Gau, Camargue, France. hd00:24Seagulls flying, landing and swimming on a pond. Seagulls splashing and cleaning feathers on a pond.